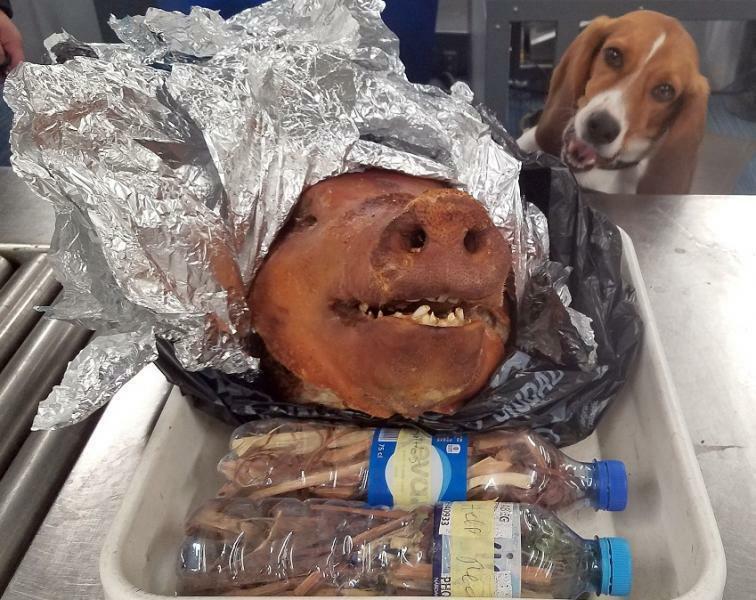 Hardy, a beagle employed by Customs inspectors at Atlanta’s Hartsfield-Jackson International Airport, poses with the pig head he sniffed out in the checked luggage of a traveler arriving from Ecuador. 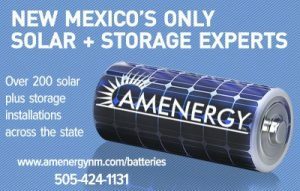 Photo by U.S. Customs and Border Protection. Oct. 16 (UPI) — Customs officials at Atlanta’s Hartsfield-Jackson International Airport said a K-9 beagle sniffed out a roasted pig head in a traveler’s luggage. U.S. Customs and Border Protection said Hardy, a CBP Agriculture Detector and member of the agency’s “Beagle Brigade,” alerted officials to the presence of the pig head in the checked baggage of a traveler arriving from Ecuador. The nearly 2-pound pig head was destroyed by authorities. Customs said pork products are banned from being transported to the United States from other continents as they could carry animal diseases including Foot and Mouth Disease, Classical Swine Fever and Swine Vesicular Disease.